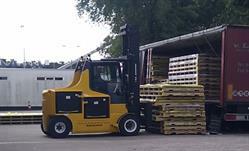 Are you aware that not all electric forklifts are built equal? Each electric forklift can be configured with very different power systems (battery & charger) to meet specific operational expectations. Carer offers varying energy consumption performance capabilities across 46 different chassis configuration over 12,000lb lift capacity. With over 40 years of experience, Carer Electric Forklifts continues to focus on the necessary engineering and design to maximize runtimes for various performance demands across a number of industries. Whether it is in a single shift operation or in a very demanding triple shift application, Carer offers the ideal model that will maximize the exact power supply to fit any and all operational requirements.